House Speaker Nancy Pelosi lied about the Secret Service yesterday in an effort to score political points against President Trump. Pelosi asserted the State of the Union Address, which she invited President Trump to give on January 29, should be postponed due to the Secret Service being unable to provide adequate protection due to the government shutdown. "The U.S. Secret Service was designated as the lead federal agency responsible for coordinating, planning, exercising, and implementing security for National Special Security Events by Public Law 106-544, December 19, 2000. However, both the U.S. Secret Service and the Department of Homeland Security have not been funded for 26 days now – with critical departments hamstrung by furloughs," Pelosi wrote in a letter to the President Wednesday. "Sadly, given the security concerns and unless government re-opens this week, I suggest that we work together to determine another suitable date after government has re-opened for this address or for you to consider delivering your State of the Union address in writing to the Congress on January 29th," she argued. After the statement, the Secret Service pushed back on Pelosi's comments and said agents are completely prepared to deliver the required security for the SOTU. They've also been preparing for the event for months and long before the government shutdown started in December. Homeland Security Secretary Kirstjen Nielsen also hit back. The Department of Homeland Security and the US Secret Service are fully prepared to support and secure the State of the Union. We thank the Service for their mission focus and dedication and for all they do each day to secure our homeland. 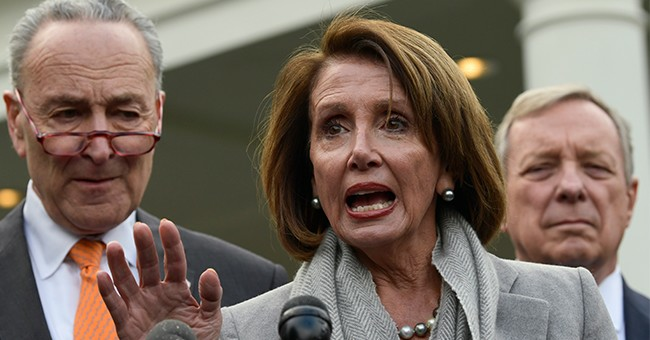 It turns out Pelosi, whose shameless political antics have been on full display since retaking the Speaker's gavel earlier this month, didn't even check with the Secret Service before making her bogus statements about their current capabilities. Further, when called out for lying about the agency, she said she "doesn't care." Meanwhile, Pelosi continues to say President Trump's calls for border security are "immoral." The second highest ranking Democrat in the House, Steny Hoyer, disagrees.